Moxie Girl – It’s a Team (Meeting) Thing! 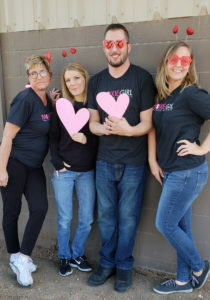 Moxie Girl, your vacation rental homes specialist strives to provide the best service available when caring for your homes. Part of providing the best service is having the best team! Moxie Girl values our team members as family and we want our Moxies to feel that way, too. 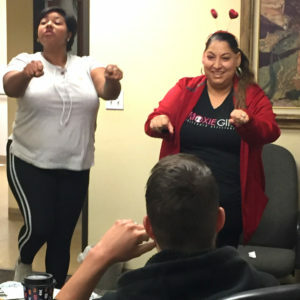 We thought it might be fun to give you a peek into our monthly Sunday morning team meetings so you can see how it’s done! 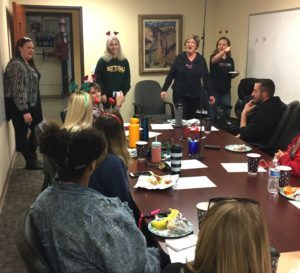 If you’ve been in the workforce for more than a week, you’ve probably suffered through at least one seemingly endless staff meeting. 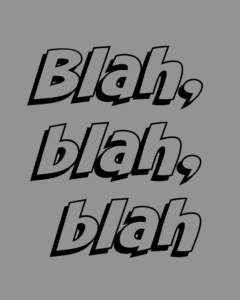 You know the one… You and your peers are summoned to a cold conference room and talked AT by the boss about blah blah blah… All the while thinking, hey, this would’ve made an excellent email! Many employers miss the boat when it comes to effective interaction with their employees by using staff meetings merely as a platform to spew information, rather than getting to know their team members and the really great ideas about business they might have. These ideas may often include very useful feedback on current processes – everyone needs that! Often there is an unspoken ‘no socializing’ rule at these meetings, too, reminding you that you are definitely not there for fun. 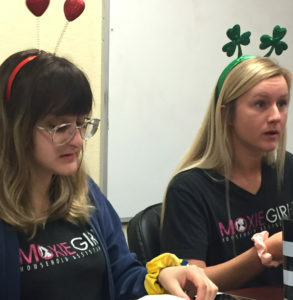 Moxie Girl is different from other companies in many ways but especially with regard to our team meetings. 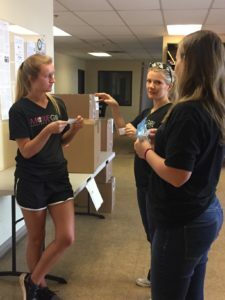 Amanda Thomas, founder of Moxie Girl, knows her team members are always working to improve efficiency – and since they are out in the field every day, the Moxies are an active hive of new ideas. 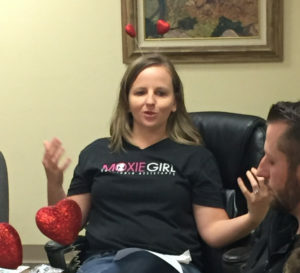 In planning the monthly Moxie team meeting, Amanda makes a very conscious effort to cover all the bases, making our gatherings as interactive, informative and FUN as possible. And being the smarty-pants she is, Amanda knows an immediate way to our hearts is directly through our tummies! Our monthly team meeting starts off with a yummy variety of morning snacks (including gluten-free options) coffee and juices! Moxies work in teams on larger vacation rental home locations but more often than not we are solo on smaller projects, so it’s likely we’ve never even met many of our team members until we attend our first monthly meeting. Amanda understands that actually getting to know your fellow Moxies is a great way to build the strength of the team. Meetings often begin with a “getting to know you” type activity that encourages interaction between Moxies. The better you know someone the more likely you are able to communicate with them effectively, right? And communication is a key to what Moxie Girl does. Many times the “getting to know you activities” Amanda comes up with also include problem-solving aspects and best practices discussion, adding to our understanding of how to best work together while we’re getting to know each other! One of the things I personally most admire about Amanda is that she not only welcomes ideas and feedback, but actually invites them! A portion of the monthly meeting almost always include some version of a group brainstorming session directed toward issues currently relevant to the Moxie team. I often see Amanda fervently taking notes as discussions unfold. More importantly, I later see those great ideas and concepts finding their way into standard Moxie procedure. We all look forward to hearing updates on Moxie Girl’s progress toward our company goals. Amanda delivers the stats and makes us aware of, well, anything we should be aware of. She also answers any questions we may have. It’s nice to be in the loop! Moxie Girl has experienced astounding growth in the past year – 40% over the previous year – and it is exciting to see that we are on track to hit our goal number of vacation rental home clients in early 2019! Our monthly meetings wrap up just in time for Moxies to grab any needed supplies and head out to conquer their Sunday vacation rental home cleaning schedules, feeling full of food, inspiration and new insight into our fellow team members. Thanks Amanda! Inspired to be a Moxie? APPLY NOW! Discover the difference a strong team makes by choosing Moxie Girl for all your vacation rental home needs! From set up to in-between guest cleanings (including same-day services) you can trust Moxie Girl to deliver quality and reliability. Contact us today for a FREE CONSULTATION!